I think these last five weeks have been the most developmentally exciting weeks in the pregnancy. Although anyone will attest that the photos still don’t quite do my enormity justice, you can really see some significant growth since week thirty. 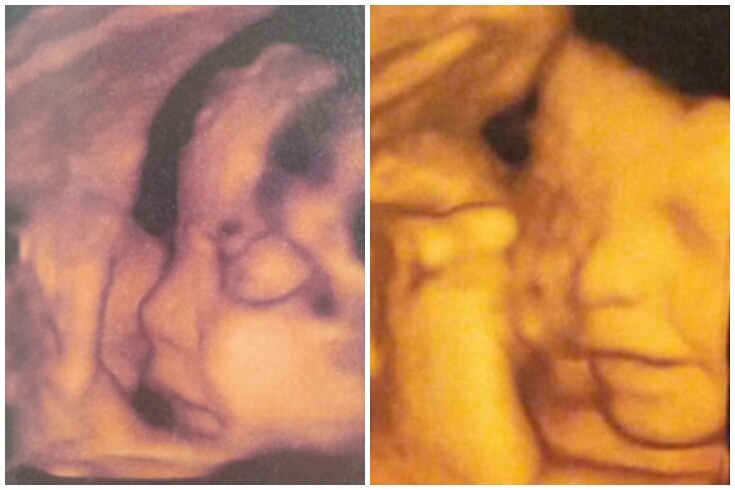 Baby has grown quite a bit too and is estimated to be as big as six pounds and eighteen inches already! Although most of the growth in the last couple weeks, and for the rest of the pregnancy, is mostly just baby fattening up, baby has been way more active than ever before. I’ve especially enjoyed trying to catch baby moving on camera lately, but baby’s pretty sneaky. Over the last few weeks, I’ve also noticed a sharp drop in my stamina. Ever since our outreach in Phuket, I feel like I’ve been struggling to catch up on sleep and rest in general. However, what’s worse is the recurrence of nausea. While during the third trimester I prefer bland foods to Thai food ten times out of ten, I am incredibly thankful that leafy greens haven’t made their way back onto the unmentionable list. Really though, I feel pretty fortunate in terms of pregnancy symptoms, I definitely could be feeling much worse. One thing Burke and I have especially loved about this pregnancy is getting to see our sweet baby during the ultrasound appointments. While our appointments feel rushed some days, we feel like the doctors and nurses always take special interest in capturing cute photos of baby. Baby has getting compliments for having a cute nose from every Thai person who has seen it so far. Apparently Thai parents are anxious to see if their babies have pronounced nose bridges, which ours obviously does. What I find funny is the growth in baby’s nose from last month to this month. We think baby may be starting to look like Burke more and more these days. Over the next weeks, I’m planning to share a few more pregnancy-related posts with you, including some photos from the baby shower our friends hosted for us yesterday, my overall thoughts on pregnancy in reality vs. what I expected, and the dos and don’ts of pregnancy – Thai style. Before I wrap up with fun facts from this side of 35 weeks, I wanted to give you the opportunity to submit a hunch for baby. It’s quite unfathomable to me right now, but if baby comes early, this could be my last monthly update! Prayers much appreciated.